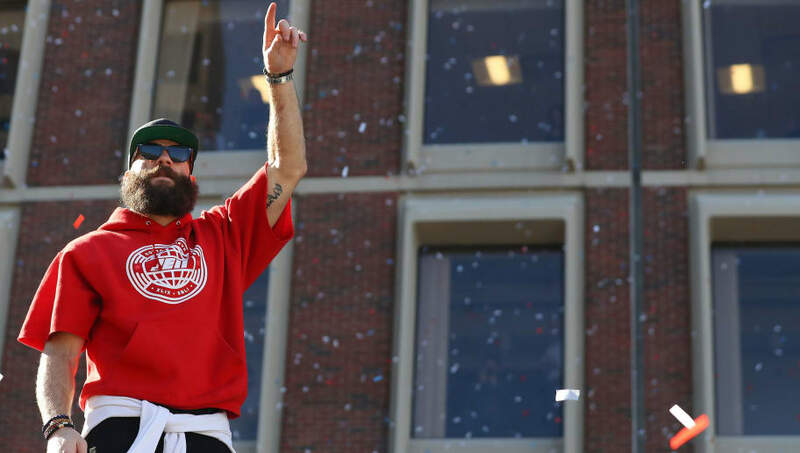 Super Bowl LIII MVP​Julian Edelman continues to refuse to speak about the four-game PED suspension that started his 2018 season. But, that's simply not true. -@Edelman11 on unreal week, year, decade. While there is a confidentiality provision in the ​NFL's performance enhancing drug policy that protects the player, said player can choose to waive his confidentiality rights, if he wants to, but it could come at a cost. In the past, players could publicly use whatever excuse they wanted and the league could say nothing. In the current CBA, the NFL has the right to call BS on any inaccurate excuse a player comes up with in order to “correct public claims made by [the] Player or his representatives about the discipline," per King. But, does Edelman disagree with the punishment? Does he deny any wrongdoing, or does he show contrition for his actions? We can only hope, Julian.